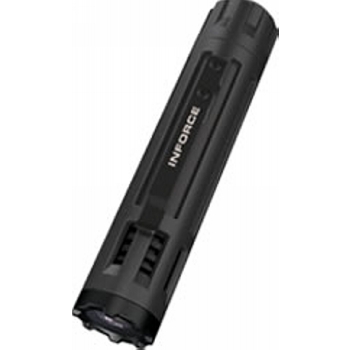 The INFORCE 6vx 200-Lumen LED Flashlight is designed for military and law enforcement personnel who demand a compact, durable illumination tool that delivers lots of punch. The ultimate in multi-functionality, the 6vx provides the ability to customize the light to your preferences by reversing the high/low power setting to low/high or disable the strobe, if desired, and includes momentary and lockout features. The fiber composite body is lightweight and durable. 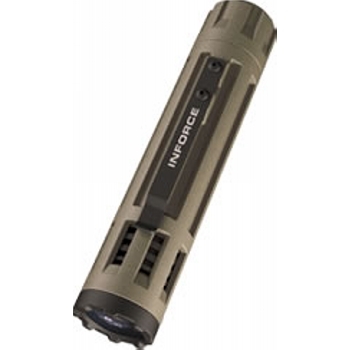 Its patented heat-releasing venting system maximizes LED performance and keeps the light cool even with prolonged use. MIL-STD-810F certified. Available in Black and Flat Dark Earth. Weight w/ Batteries: 3.3 oz.